- Re-added Aroma Installer!! YEAH!! 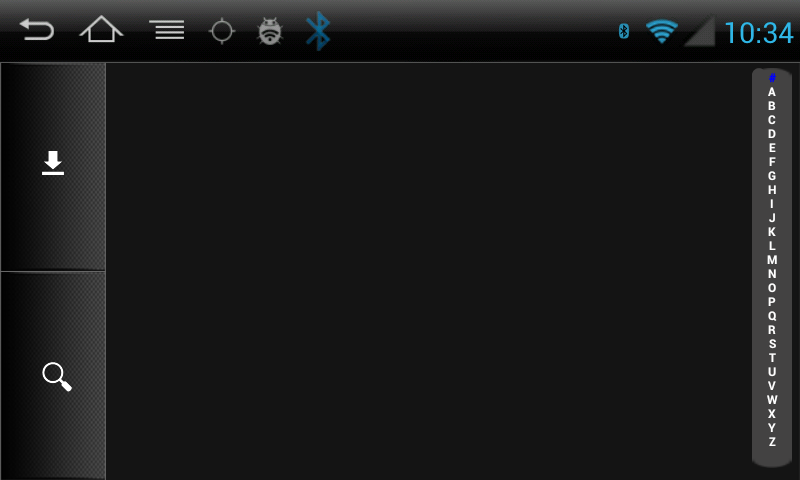 - Removed xposed and 160dpi mod (it will come next week but without xposed). The ROM is much FASTER now!! The ROM cost 20 euros and the price include future updates and my support. It is compatible with all S150 models (including S100 converted to S150). I cannot fix all the problems of the S150 firmware but i'm trying my best to give you a better experience with these units. The people who already have bought my rom but haven't received the gdrive invite, please contact me by mail. If it is present in the list, your model is supported by android firmware and you can proceed buying the Conversion software. If it is not present but your unit don't have canbus, it's still possible to convert it but please contact me before buying. NOTE: If you buy my ROM, please let me know your Gmail address. friend I have the following doubts. 1 - spotify works perfectly? 2 - reversing camera is quick to activate? 3 - if corrupt the software, it is possible to reinstall? За какое время загружается автомагнитола ? 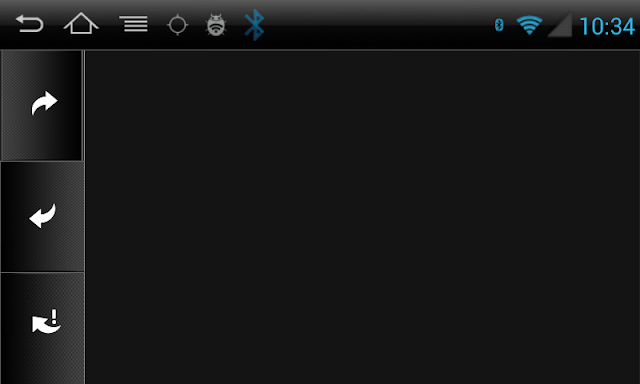 PowerAMP - player as default? 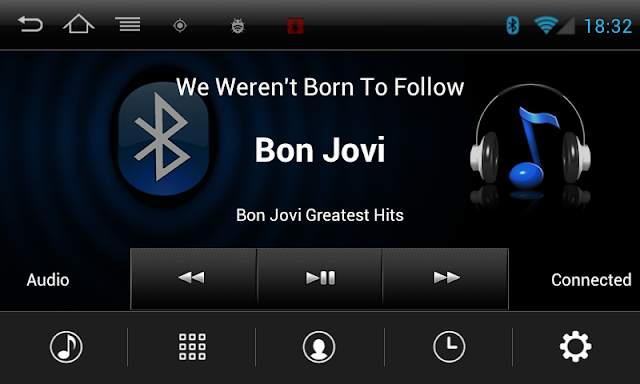 Poweramp or any other player can be used as default player. Right now available are Pamp,rocketplayer and mortplayer. I never used navitel and right now my s150 is sitting on my desk. I really can't answer you, sorry. Make gps log, and then you see the problem. I've searched a bit with Google and looks like the GPS speed is dropped to zero if the GPS loose the position. This could happen if the receiver is not good. Did you guys try with a better antenna? Sorry I don't understand you, can you explain better? Can you explain it better, please? hi, friends I have a problem with my S150, after 4.0 Update to the ROM I have a white screen with the top bar that appears when I increase the sound volume. This is not related to my ROM correct? Asmon. Buy Kotix rom. They are great and good help from Marco. Worth the money. NO mi spiace, nessun firmware disponibile per i235. Will it firmware include USB OTG functionality? I have a few USB devices I would like to try... and lets say I want to use a USB OBD-II (like the ELM 327) will it include .ko drivers? pl2303.ko, cp210x.ko, ftdi_sio.ko? As I know the OTG port is on the cpu board and you need to solder the wires to it. Can you please send me thebzip to my email please? Can we talk by mail too? Potresti dirmi cosa devo Comprare per la Trasformazione in Android 4.03? Ciao Givanni, la mia email la trovi nel mio profilo qui a destra nel blog. La conversione per il tuo modello è possibile. Nel menu a tendina all afine di questo post scegli se comprare solo la conversione o la conversione ed anche la mia ROM. Vedi tu. The overheating problem was solved? Because several people who converted their s100 s150 to have burned their machines. No, the problem is still there but the people want to convert to android. I advised about it in my post but somebody still don't care. But s160 also does not heat up? I understand. then this is the problem of s150? Soldering points? Estoy interesado en tu rom. Pero antes de comprarlo me gustaría asegurarme de que va a ser compatible y que versión tengo que comprar. que modelo de radio tiene? Esta es la información de mi radio. Ciao KoTiX! Io sono dubbioso sull'acquisto di questa piattaforma da circa 1 annetto. Ti volevo chiedere se ci sono grandi differenze tra S150 ed S160. Se dovessi optare per la S160, le tue rom sarebbero compatibili? Coi comandi al volante è comodo il controllo dell'autoradio? Tutte le app android sono compatibili? Potrei usare le mappe di Here Maps senza problemi ad esempio? Tra i tuoi clienti (magari italiani) sei a conoscenza di qualcuno che vende una piattaforma usata? ¿Es compatible con el modelo BMW e90/91/92? Actualmente tengo ese firmware instalado que incluye la app "BMW320i" para activar los sensores de parking. ¿esta incluida en tu rom? Muchas gracias de antemano y enhorabuena por el gran trabajo. ¿Y la winca app "BMW320i" estaria instalada en tu rom? ¿Seria posible hacer un backup de la app para poderlo instalar posteriormente en tu nueva rom? Si no tiene root no. Si tiene root puede utilizar titanium backup. Well, after ##0323, Digital TV is perfect, but canbus info is lost everytime I shut the car off. I would appreciate any comments. Ciao Kotix, io ho un S180 su Mercedes Classe A. Pensi che possa installare le tue ROM sul mio dispositivo? NO, è un pò diversa dalla s150. Romperesti tutto come è già successo ad un altro. Yes it work and the ROM is better of course. YouTube,play store, waze etc.. Works. Yes, you only need the ROM then. Kotix , how are you? My central supports conversion to Android? The following system information . Hi ricardo, unfortunately your model is not supported by android. I'm currently using your previous Android ROM (I guess june 2015) and I'm interested by the new one (because of the new features and above all because Wifi doesn't work now in my C004). Since my S100 is already "transformed" (I think) to a S150 (your firmware from the last year), do I need to purchase your S100 to S150 conversion or just the ROM ? Hi Philippe, you don't need to purchase the conversion software, just the rom. Hi mate, installed beautifully. I wasn't clear on the install instructions though. Is poweramp the default player which is installed. If not is there a way to install after without reflashing? Hi Elliott, the new rom install by default the original player. If you want Poweramp or one of the other available players you need to take the shortcut from the folder "Music Player shortcuts to be ranamed music.apk", rename it music.apk and copy it in system/app using root explorer (overwriting the existing one) and reboot. he descargado la rom KoTiX_ROM_10.01.2016_noMCU_240dpi.rar. He descomprimido la carpeta winca en la tarjeta micro SD donde tenía mi rom anterior (I026_403.img de 3.69GB a la que le puse anteriormente la carpeta winca de tu rom 2.6). He modificado el archivo adset.xml con el modelo de mi radio. No entiendo que tengo que hacer exactamente en este paso: "Before flashing my ROM you have to replace the "config" folder and MCU.bin in my ROM with contained in your original firmware". No obstante al instalar la rom, se instala la versión que yo ya tenía (KoTix 2.6). Todo funciona perfectamente pero el diseño (iconos, radio, ...) no es el que sale en tus imagenes del principio de este post. ¿Podrías decirme cómo puedo instalar la rom correctamente? Estrae la mi rom en una tarjeta vacia y cambia la carpeta "config" y el MCU.bin con los de el tu fw original. Hello KoTiX! My S100 converted to S150 with the rom (aroma), this rom is possible return to wince! For what reason this new rom can not return to wince OS? Hi Edmar, in the new firmwares roadnav have changed something in the bootloader that won't let you use sdboot. I'have found a few methods that work but it's still not guarantee 100% that they work for a everybody. They work for me on my unit..
Who elsebtake the risk to try? can provide me the new method to return to wince so I can verify the risk? I have a S100-Unit from 2015 with Bootloader 2.2. I am willing to try your new few methods. I have tried a lot to upgrade via sdboot to Android, but nothing worked for me. Hi Kotix. I got a S100 C207, Peugeot 207BR, same as Peugeot 206. Got a can bus but never worked anyway, no steering wheels control. Can you get the conversion firmware? Ps. 20 EUR for the conversion kit + 20EUR for the Rom is away to expensive, dude, in Brazilian money it is an absurd but, nevermind. 30 EUR for both would be more fair. You can always buy the conversion card from roadnav and buy from me just the ROM. aunque aún no he probado el bluetooth, he podido instalar la rom y funciona muy bien. No hice lo que me dijiste porque me puse a probar justo despues de escribirte, y cuando vi tu respuesta había instalado la rom. Con el Win32DiskImager escribí el archivo .img en una microSD nueva y luego copié tu winca en la tarjeta. Por si ayuda, a veces para que se inicie la instalación pongo la marcha atrás del coche y cuando aparece la cámara trasera la quito, y enseguida se empieza a instalar, sino tarda mucho en salir. ¿Donde puedo encontrar un firmware nuevo (completo .img)? You can contact me at ricardoiarossi@globo.com thank you very much for this great project. yes, my rom is ok for your system. I can use this ROM? I Buy and you send the link for Download by mail? Yes, you can use my rom. Once i receive your payment i'll send you the invitation to my gdrive folder. Now i can install all the app. BT contacts have always worked for me in this ROM. In previous roms sometimes they are downloaded but not stored and you need to do it a few times. Sometimes also resetting the unit help. Could you help me how to flash your ROM? If I install the new update will I have to reinstall & customise everything again? Yes, the firmware flash will erase the userdata. You can save your apps and data using backup softwares like titanium backup. Will it ever be possible to return to wince? Till then i wouldnt take the risk. Are you trying to make it possible or is it impossible due any reason? There are some ways to return to wince but none of them has worked 100% for all the users. A few methods work for me and other guys but they don't work for everybody. I have a board that was impossible to return to wince the last year but with a new method this year I finally made it. So, you still have 50% of success. Hi Marco, once again..lol.. I bought your ROM and Conversion SW.
About return to WinCE, first procedure you posted here in blog, is it not work anymore? Because I already use it in my unit a long time, and it worked normally. My google email is daniloogoncalves@gmail.com (for contact: danilo.goncalves@live.com). It doesn't work on newer androud firmwares but if you want we can experiment a couple of methods. 1- My country temp. reached 40c , Can it harm my hardware ?? So, You didn't recommend me to use your conversion or what ??? If s150 is sold in your country you have the same risk if you bought an s150 instead of s100. The overheating problem occurs on both models but more on s150. If I was in you? I would add a fan behind the LCD screen to cool down the board. If you want only the conversion you can select just that from the buynow button options, if you want my ROM too you can select both (third option). Hi i have s100 wince on mazda 3 and the brand name is winca. Is this supportet by your firmware ?! Hi, i need to know your model number Cxxx as shown in your system information screen. Your unit is not supporter by android but you can always use my skins and software on s100. I didn't see an upgrade for my citroen!! Could i know if i can change from wince to android? No, your model is not supported by android firmware. Btw You can always use my skins and software. 1. I see on Roadnav forum, that a new S100 firmware is being released, so far not for every device, but for a lot of them. Is the latest skinpack compatible with S100-v.1.2.11.0? If not, will you be releasing an update? 3. no, ask it on roadnav forum. Ciao kotix volevo sapere se l apk per la radio modificata è disponibile per la s160. Perché non mi piace vedere la frequenza ma vorrei vedere il nome dalla stazione in grande. Mi interessa solo quella di apk non tutto il pacchetto. Ciao e grazie. Ciao Omar, la skin della radio è parte integrante di tutto il resto perchè è un apk unico. Did you replace the config folder with the one from your original firmware? yes i didt replace the config files. before i had your costum made kotix 4.03 2,7 in my unit that work ok.i am not sure witch to install on my unit.. i install the winca kotix rom noMuc 240 dpu ? hi. when C072 opel astra j s100 to s150 upgrade? No, c072 is not supported. Playstore is fully functional, i can dl and install apps? is there any way to convert c078 to android? Hi, I have an redpower 8918 for toyota rav 4 system with this firmware: F1D1-F1D1-6022-100113. Can i upgrade to Android? i want to buy your firmware but just to be shure it will work. Hi Gabriel, your unit is not an s100/s150 so it will not work. Hola, tengo la radio cuyo enlaze de envio, mi pregunta es Funcionará todo dvd, mandos al volante etc., te agradezco tu interes si me dices que si te lo compraré, gracias y saludos. 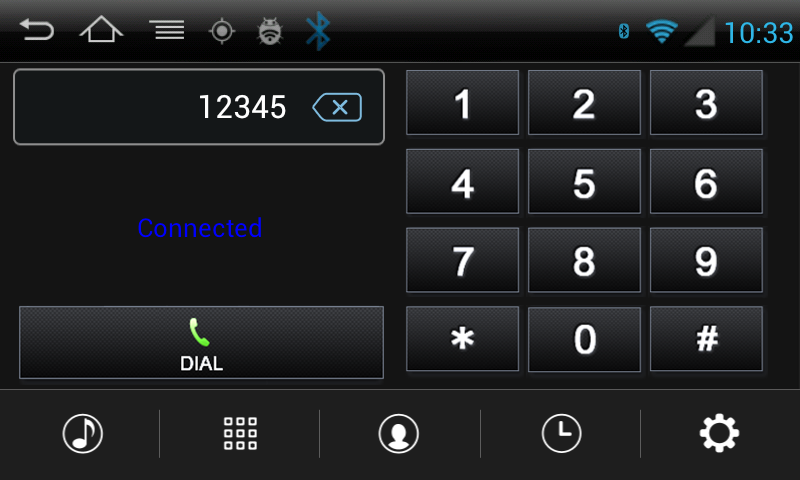 Hola Kotix,tengo la unidad winca S150 con android 4.0.3 I096 y MCU: O0N5, ¿es compatible ese firmware con esta unidad? ¿se puede controlar Spotify con los mandos del volante? ¿Cómo puedo hacer una copia de seguridad de la versión de mi unidad antes de actualizarla? Gracias. Tengo la unidad winca S150 con android 4.0.3 I096 y MCU: O0N5, ¿es compatible ese firmware con esta unidad? ¿se puede controlar Spotify con los mandos del volante? ¿Cómo puedo hacer una copia de seguridad de la versión de mi unidad antes de actualizarla? Gracias. If you mean that you have a c087, yes you can convert it to i087 and you can also install my ROM. I've got the winca S150 unit with android 4.0.3 I096 and MCU: O0N5, is compatible that firmware with this unit? ¿could I control Spotify with steering wheel control with your firmware? How can I make a backup of my currently firmware before update it? Thank you! Yes you can have SWC with spotify. No backup, but i can give you the link for your orignal fw. Thank you!! I buy now your firmware then. I've received the files, can you send me the original firmware please? ja te envio todo, el invito a mi gdrive y el codigo de desbloqueo. Lo ha recibido para email? Hi! does this firmware works on the S100 C315 (Fiat 500)? if so, does it has any problems/limitations? If not, the skins you offer do work on this unit? Android is not supported on c315 but you can use my wince skins and software. If you want to convert only to android you select the "Conversion and guide" for 20 euros. So i recommend to buy also my ROM selcting "S150 ROM + Conversion" 40 euros. No, different hardware. Not possible. Can I use your ROM ? You mentioned that part of the sound issues have been sorted out. Will it keep the sound level on restarting ? Ye, indeed you can use my rom.I meant tue audio focus issue when switching from radio to audio player. Keep sound level? Uhm.. You should use some volume control app..
Hi, my ROM work on all s150 models, you won't loose any functionality that you already have. 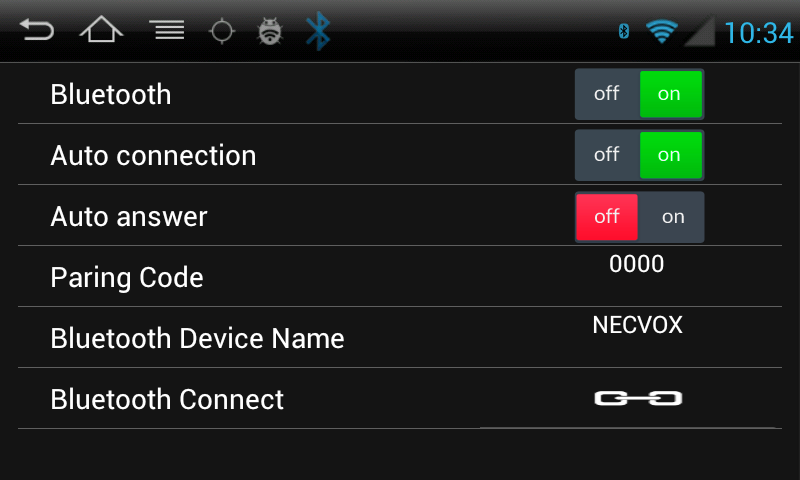 Nobody had problems with WiFi with this ROM and I cannot guarantee it will fix yours. For sure the ROM is based on a more recent firmware but maybe you have an he failure. Go in factory settings dialing ##0323 in BT screen and set TV to digital. already done that menu works for epg and changing channels but no settings/setup? I never had a tv module do i cannot Help you sorry. You find my ROM a bit slower probably because it has gapps and play services included and perfectly working. Without them YouTube,waze etc.. Don't work. You can root s150 with baidoo root. Look on s150 xda wiki about it. Hola será que funciona con mi radio s100 c171 . Quiero pasar wince a android y tener esta última actualización. Por cierto mi vehículo es una Renault Duster. . Los datos completos de mi radio son . Hola! Si, puede convertir tu radio en android sin problema. Hola KoTIX, he convertido mi s100 c158 a s150, pero tengo problemas, los mandos del volante si funcionan, pero la botonera del aparato no responde. El boton de volumen ó encendido y apagado no funciona tampoco. Cuando puylso boton Navi, cambia a bluethoo. He modificado el archivo ADset con el original c158. No sé si esque seguramente no lo hago bien en el archivo. Podría usted ayudarme con el archivo y indicarme los cambios que tengo que hacer?. Quisiera comprar sus pieles que me gustan mucho, pero si no logro solucionar este problema me veo obligado a no hacerlo. Le agradezco su gran trabajo. Gracias. ¿Es compatible aunque esté modificado por un OEM? Y la otra pregunta es, ¿Seria posible instalar Google Now y controlarlo por voz en esta versión de Android? Seria muy bueno "simular" algo parecido a Android Auto. El tu modelo se puede convertir a android sin problema. Google now? Mejor si no pone demasiado trabajo a esta raduo , la CPU y la RAM son pequeña Y calienta mucho. Yes, It's possible to convert your unit to android if this is what you mean. What version of andriod is this? Does it have hebrew and arabic support? it's android 4.03 based on the july 2015 firmware. Hebrew and arabic can be enabled editing the locales.xml included in your firmware config folder. Will the Andriod firmware work with it? Will the canbus work? In case I regret, Isn't there anyway I can go back to Windows? Can I do a nand dump before installing new firmware, in case I want to get back to windows? Your unit can be converted to android but you cannot go back to wince. Canbus will work. hi..what is a 160dpi mod? The 160 dpi mod will resize all the apps to better fit the screen, removing the zooming effect that the normal 240 dpi set nomally produce on all apps. tengo una duda tengo un estero para ibiza s100 c246 pero dejo de sonar de la nada lee todo pero no suena nada, que podra ser ... si es problema de software para asi poder comprarte las actualizaciones ?